This recipe is in many ways a portrait of a place and time. It is pure, yet also messy. It is raw, yet also complex. It carries scatterings and stories, yet it could also only exist through that road it has traveled down. Life is in many ways a scattering of battles, defeats, and the many moments in between. The culmination of these scars and scatterings is what molds us into who it is we are - and who it is that we shall become. This recipe captures the simple beauty of that evolution of spirit... of our souls - by a beautiful yet subtle blend of grapefruit essential oils. 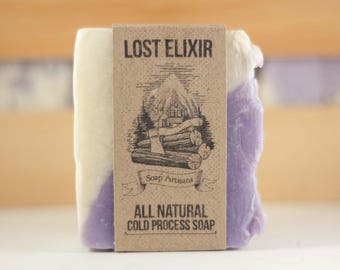 This is bonded to an unapologetic scattering of other chosen Lost Elixir bar fragments. This is an intentional allegory to the crooked paths that yield us into an awareness of who we are - it's a testament to owning that collection of fragments and moments - achieving an understanding of what it is - something beautiful and uniquely our own. This recipe blends these fragments with white kaolin and bentonite clays, providing a fluid and connected experience - even during times of what seems like chaos and confusion. The base of this recipe is built on a carefully considered combination of sweet almond oil, safflower oil, grapeseed oil, coconut oil, and sustainable palm oil. These give the recipe form and strength - they present the canvas for this expression to take flight. This bar is something of a Rorschach test - it's deeply personal, and the experience seems in many ways to mirror that which we are willing to let ourselves see. What will this recipe reveal to you? Soap bars will be wrapped individually in brown kraft paper and will have a simple Lost Elixir sticker on the outside of the package. One of my absolute favorites. 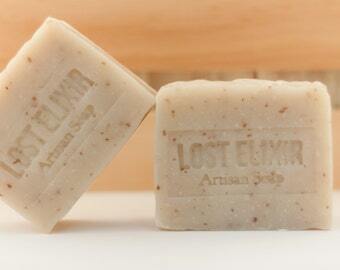 It has subtle grapefruit scent and leaves my skin feeling so soft and clean. I love this fragrance. Soaps were shipped quickly and packed very well. The seller is really great to work with. Highly recommended. Awesome lather and fresh scent. I'm hooked. Thanks! Love the scent. One of my new favorites. This scent is probably my second favorite. It smells so nice and feels great on your skin. I am happy to consider wholesale opportunities. Send me a conversation and let's talk about it! In keeping with our social and ethical responsibility goals, our Palm oil supplier is a member of the Roundtable on Sustainable Palm Oil (RSPO), an organization that supports sustainable palm oil production. 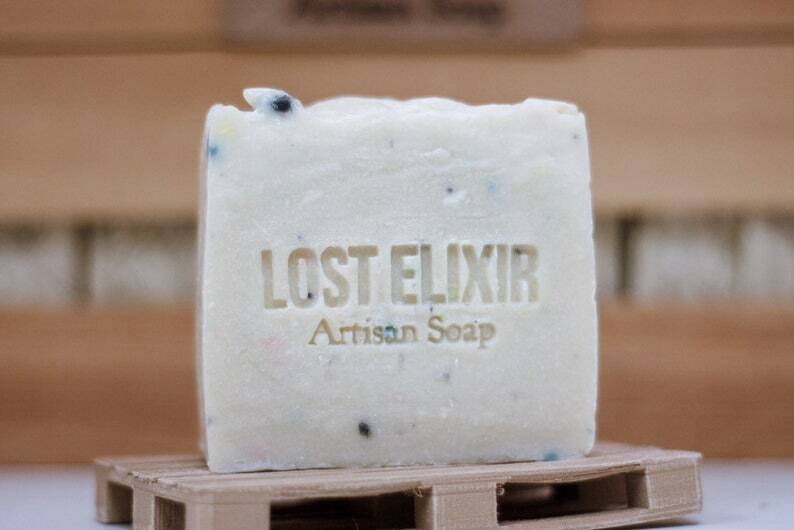 We currently do not offer any white or private labeling for any of our soaps. We are a small operation, focused on small artisanal batches and seek to remain true to that spirit. 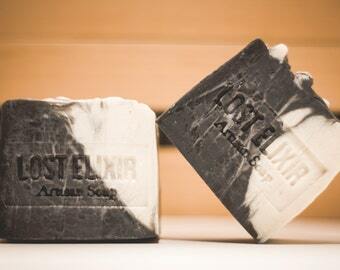 Do your soaps have a strong scent?